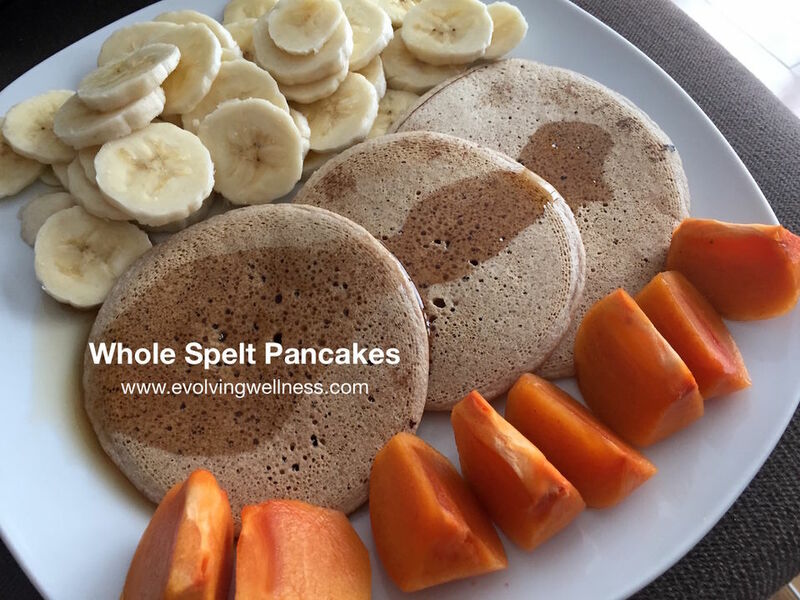 Although not as wholesome and unprocessed as a real intact grain, healthy pancakes can easily be enjoyed as part of a whole food, plant-based diet. They key is to work with the best and most wholesome ingredients. The following pancake recipe will give you just that and provide a delicious and satisfying meal that can be used as an occasional treat. 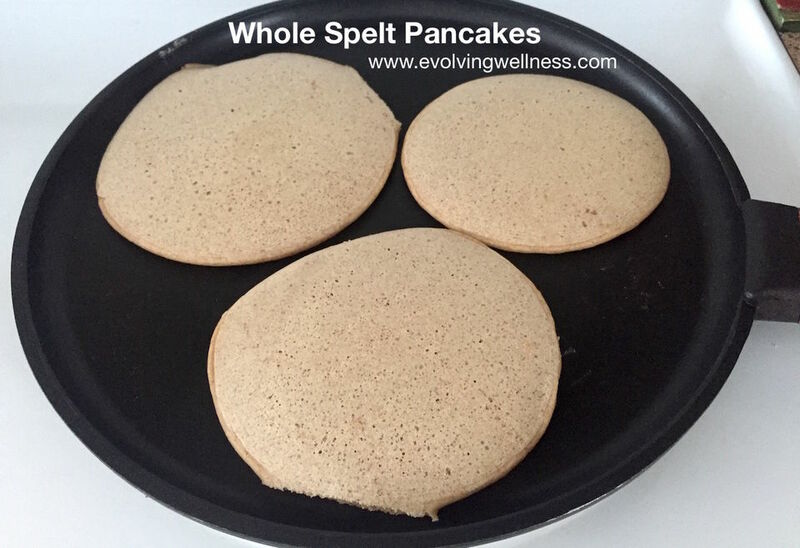 These pancakes do not include any oils or refined fats or refined sugars, and when paired with whole plant foods, namely fruits, will provide a range of nutrient-dense calories, as well as vitamins, minerals, phytonutrients, and antioxidants. For fluffy pancakes, be sure to allow the ingredients in steps 1 and 3 (below) to sit for a few minutes, and do not overcook the pancakes. Pour the apple cider vinegar into the non-dairy milk, stir, allow to sit for a few minutes (until some curdling appears). Place all of the dry ingredients into your blender (or a bowl, if using a whisk). Once your liquid mixture is ready, pour it into the dry ingredients, and add in the maple syrup. Blend on high speed until a fully smooth and uniform mixture results. Allow the batter to sit for about 5 minutes. Once batter and pan are ready, pour some of the pancake batter onto your pan, enough to create pancakes of the size you like. About 3 medium pancakes should fit per pan. Serve warm with fresh fruit of your choice, aside from melons, for best digestion and food combining. Optional: pour a little maple syrup on pancakes or make a fresh fruit mash or chocolate sauce to put on top instead.